You are here: Home / Celebrity Interviews / Amanda Steele Talks To Alli Simpson On “The Meetup” — Watch Now! 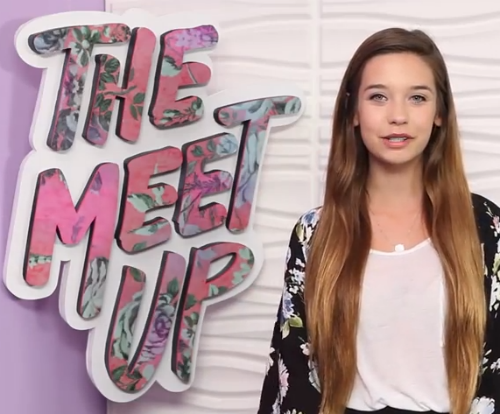 Amanda Steele Talks To Alli Simpson On “The Meetup” — Watch Now! Recently, Amanda Steele and Alli Simpson met up on Polished’s “The Meet Up”. The video starts off with Amanda asking questions, some from fans on Twitter and some from just herself. After, they talk about Alli’s music career, Australia, hobbies, along with Amanda trying some Australian treats brought by Alli. Make sure you check out the video below! « Bella Thorne Meets Fans & Contest Winners At The Grove In LA!